I have got a scenario where I am using data from a SharePoint list to create a risk matrix chart. Attached is a screenshot of chart so far and sample of list data. I am using the likelihood and consequence as x,y values and consequence as Z value. What I want to achieve (and can't seem to work out how) is display the RISK value either as mouse-over or visible label on the chart somewhere. i.e. 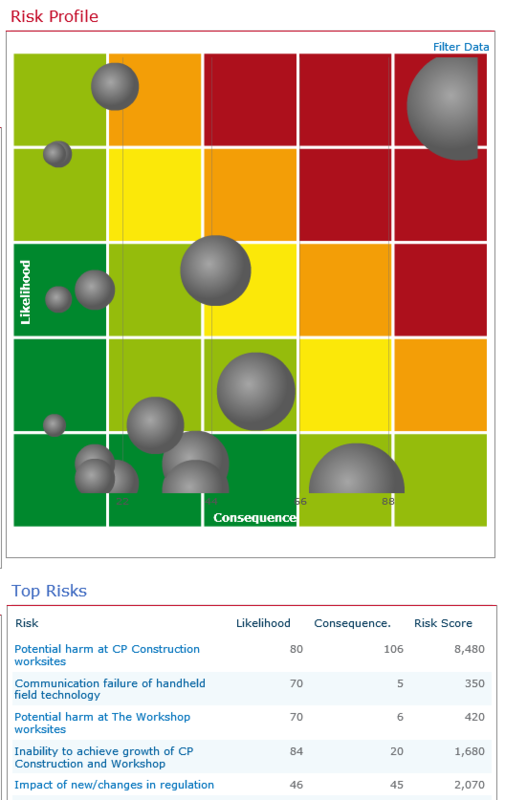 the top right bubble should have 'Potential harm at CP Construction worksites' as its label. use attribute showValues='1' in your code and check. We have released a minor update, which has the fix for the issue you are facing. So could you please download it and check the same? Thanks for this, do I need to download the full product again or is there somewhere I can download the update? I'm not sure if we have a support/upgrade license. And to upgrade, just run the Setup.exe and choose "Upgrade" when Setup wizard asked for it.